Search in title, column, author name, abstract and article text. We marked all the goals which earn 2 goals with two, small dots in the bottom of the action icons. 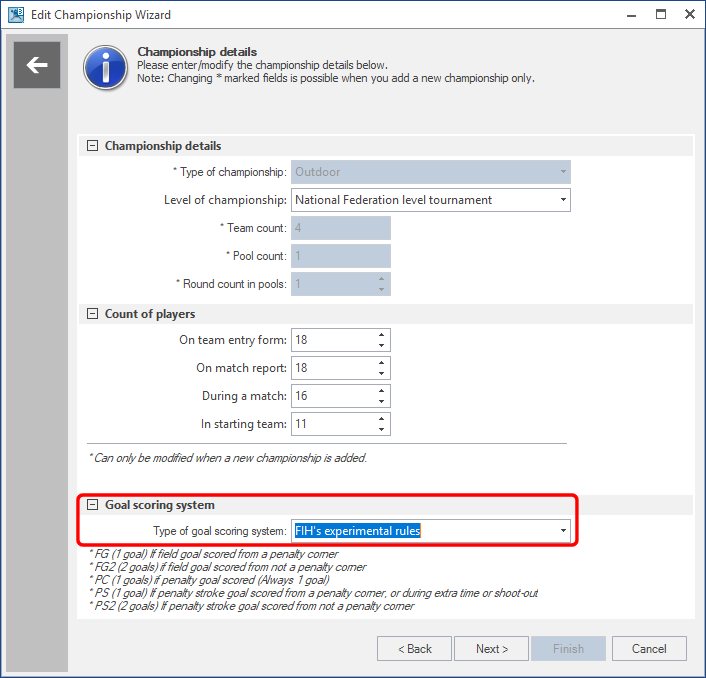 In order to be visible and count the goals rights the FG2 and the PS2 actions must be enabled and their Goal Count must be set to 2 and PC2 must be disabled, in Championship Wizard / Actions of championship step. 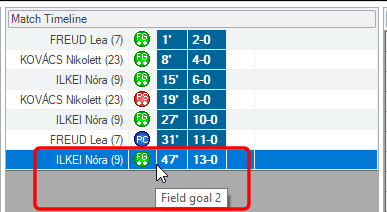 How to add a new Field Goal 2 to the match? You can use the traditional mode: Select the goal scorer and click on the FG2/PS2 action button then enter when the goal was scored. 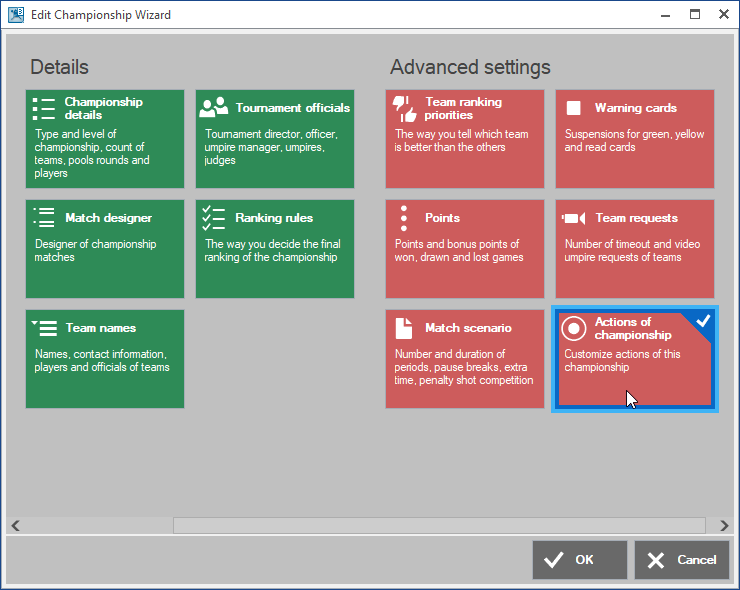 This method works only if the Goal Scoring System (in Championship Wizard) is set to FIH’s Experimental rules. The goal count shows how many goals will be added to the match result if a player scores FG2. 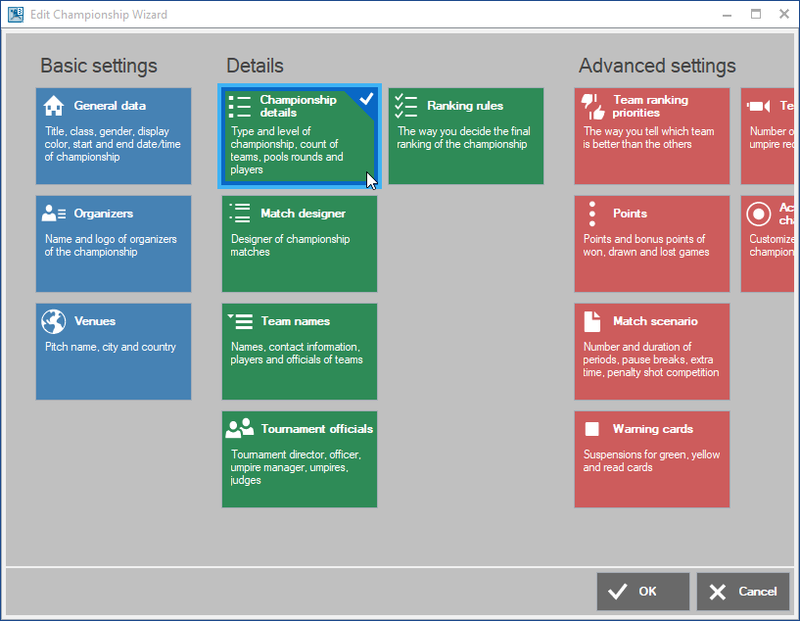 For example, later if FIH introduces the Triplet (3-points FG goal) then you can set the Goal count = 3 in this editor. Please note that the FG2 and PS2 must be enabled (checked) otherwise they won’t appear in the actions bar of Match Editor. 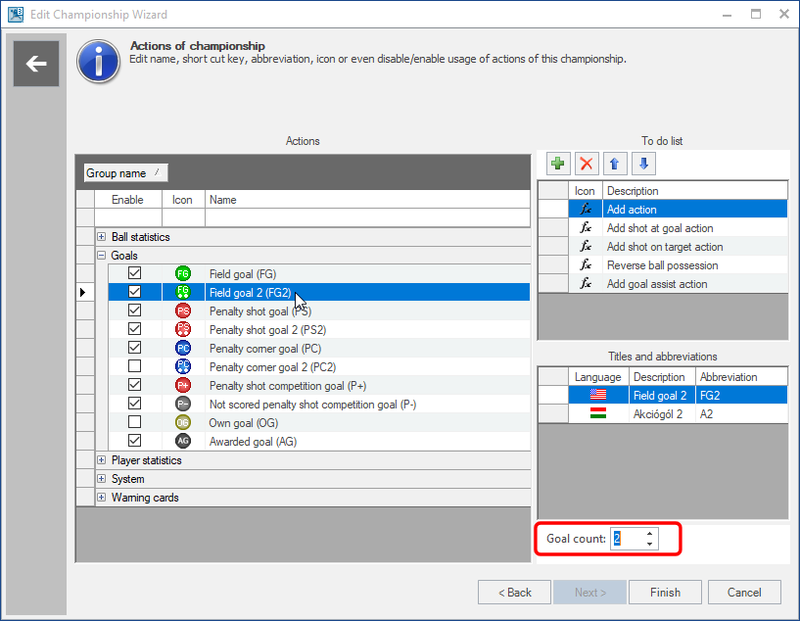 For example, we have PC2 (penalty corner goal with 2 goals) which is not allowed in the experimental rules, therefore it is disabled and it won’t appear in the actions bar of Match Editor.